With Australians increasingly using their credit card to pay for everything, small businesses have little choice but to equip their shops EFTPOS Terminals that accept credit and debit cards. Credit Card Market Report Australia 2018 states that 2,779,225 of the 16,694,597 credit cards currently in circulation were added to the market in 2018. While most people use their credit card to pay for expensive things, Aussies are starting to pay more for their everyday transactions. Since the widespread introduction of contactless payments like PayWave and PayPass, Australians are mostly preferring credit card payments. With Australians less likely to carry cash, small businesses who do not accept credit card payments are expected to lose customers and gradually sales. The only way to move forward is to expand your payment options and to start accepting card payments. It can seem like an expensive step, but it doesn’t have to be! Thanks to heavy growth in the technology and payments sector, accepting credit card transactions can be simple and reasonable for small and medium-sized businesses. Looking for a Credit Card Payment Processing System? Let’s Get Started! There are multiple options for accepting card payments in the present market, but make sure to choose the best that suits all your requirements! EFTPOS – Take Payments Wherever, Whenever! EFTPOS payments are widely used in the Australian market. They accept in-store payments, but can also make online (Card Not Present) payments. EFTPOS Terminals enables easy and secure payment transactions, allowing customers to swipe, insert or tap and pay. There are multiple options available for an EFTPOS machine. With its high performance and low-cost features, the countertop EFTPOS terminal are widely popular in stores. They allow transactions from a fixed position. This is best suited for a retail or restaurant/hospitality venue where payments are processed from a fixed place. As the term mobile implies, this machine is free to move and is portable. This is one of the best options for hotels, cafes and more, where the machines can be carried to the seats of the customers for payment. This reduces the hassle of waiting in long queues to make a payment. An integrated EFTPOS terminal can be integrated with a merchant’s POS System. Advantages of this are that employees never have to key in the price at time of purchase. They only enter details on the POS System. This means less human error and reduced discrepancies. Another advantage is that end of day card summaries and reporting are integrated with cash and other forms of payments. This reduces time and error when counting up for the day. Integrated EFTPOS is essential for fast-food restaurants or any fast paced environment These EFTPOS terminals can also be mobile. Online Credit Card Processing – Making Payments Easy! Online transactions are growing in volume year on year. Almost of all of these purchases are made using a credit card or debit card. What do you look for in an online payment? The safety of our money is essential. Always make sure that your business chooses a tokenized payment system accepting payments. A tokenized payment system makes sure that real card details are never used and your customers account details are secure. In this busy world, people find it easier to shop online. Even if you own a small business, you can opt for marketing your business online for boosting your sales. In such cases, you must be prepared to accept various types of online payments. Choose an online payment gateway that accepts multiple currencies and cards and make sure your customer’s payments are safe. What are the Costs of Setting up Credit Card Payment Processing System? The fee may vary between the various payment options, but there are some basic fee structures that remain the same for all services. The setup fee is the initial fee that is charged while opting for a plan. The setup fees differ for different payment gateways. The businesses have the option to choose a plan that suits their business. Safe2Pay has no set-up fee associated with it’s tokenized, multi-currency Payment Gateway. The account charges are normally associated with administration and/or maintenance costs on a monthly basis. The charges depend on the plans you choose. If you own a small business, there are reasonable plans to choose from. 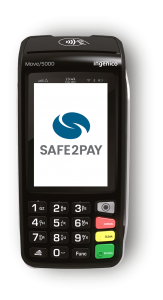 For most businesses, Safe2Pay’s Payment Gateway has no monthly fee associated. The processing charges are based on a per-transaction fee. These processing charges differ for each payment gateway and each business. These fees are also based off a businesses monthly card transaction volume. The more business you do online, the lower your per-transaction fee will be. Your customers deserve to know their money is safe. As a business owner, you also deserve to know your details are safe and you’re not getting ripped off. 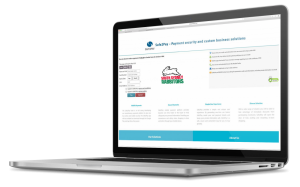 Get in contact with Safe2Pay to find out how we can tailor payments for your business.